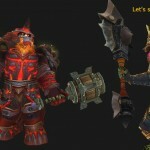 The Patch 5.4 Warrior Changes are much like those of the other classes. A mixed bag of buffs and other changes. Tanks should take a close look at the 5.4 changes, Arms could spend a glance, and Fury will just mostly yawn. Mostly, Warriors are in a better place with the changes and Bladestorm might even be coming back. Note that these patch remarks are up to date as of 9/4. They will be updated if there are any changes before or after the 5.4 launch. Note that there may be some significant changes still coming. General view, Arms, Fury, Protection, Talents, Glyphs, More. In patch 5.2 Defensive Stance‘s damage reduction was nerfed, in 5.3 it was restored (back to 25%,) and in patch 5.4 it has a shorter cooldown. Definitely going in the right direction. Thunder Clap and Deep Wounds were also buffed for all Warriors. (Arms got a buff to DW back in 5.2.) The Arms ability Seasoned Soldier now also reduces the cost of Arms’ Thunder Clap by 10 Rage. Do you have anger management issues? Your Enrage now triggers from more stuff, specifically it triggers on critical hits from Devastate and Shield Slam in addition to the old triggers. This will increase the value of the Crit stat for all Warriors. Some small buffs for all Warriors that are nice to see are: Intervene now also breaks roots and snares when used, Hamstring is no longer on a global cooldown (just spam it,) and your Shattering Throw no longer costs rage. Tired of actually having to equip a shield to use Shield Wall and Spell Reflection? You no longer have to equip that shield. Now the spell functions and generates an image of a shield for you. Also check out the patch 5.4 PvP changes, the big one of which is the 72% Resilience that all characters get in any PvP situation. As notes above, your Seasoned Soldier now reduces the cost of your Thunder Clap by 10 Rage, in addition to the damage buff that all Warriors got. Several classes had one of their “bread and butter” strikes buffed for more damage and made more expensive to use. In your case Slam now deals 25% more damage, but the Rage cost has been increased by 25% as well. So now you will have harder hitting, but fewer, Slams. In addition to this Slam buff is a tweak which will make your Area Effect fights a bit more interesting: while Sweeping Strikes is active, Slam will deal 35% of damage done against the primary target to all other enemies within 2 yards, and targets already affected by Colossus Smash receives 10% more damage. Sweeping Strikes also causes melee attacks to strike that additional nearby target for 75% of the initial damage (up from 50%.) You Colossus Smash + Slam combo will hurt the other guy a bit more than before. Well, you didn’t get much of anything specific to you this patch. Titan’s Grip now works with polearms, wow. Major buffage there, right? It looks like Crit will be a lot more interesting in patch 5.4 for Protection: Your get a new ability, Riposte, which is a passive ability learned by Protection Warriors at level 76. When the Warrior dodges or parries any attack, they gain 75% of their Parry and Dodge as an additional bonus to Critical Strike for 20 seconds. Your Ultimatum now activates from all critical hits with Shield Slam instead of a flat 30% chance, and the ability will make the next Heroic Strike or Cleave be a critical hit in addition to costing no Rage.This isn’t bad at all. Your Vengeance has received several changes and these changes apply to all tanks. Apparently Blizzard doesn’t want tanks to be quite so high up on the DPS lists and maybe felt the system offered too much. Or too much cheese. Something like that. Note, above, that various abilities of yours have been buffed. First off, any characters in a tanking specialization now generates 40% more threat. This will make up for various nerfs to the Vengeance ability. Secondly, you can no longer get massive gains while standing in the fire while battling many mobs. Not as massive, anyway. Vengeance now grants Attack Power equal to 1.5% of the damage taken, down from 1.8% (The tooltip said 2% but it was actually 1.8%.) So now it won’t hit as hard. Tanks no longer receive Vengeance from many persistent area damage effects (standing in the fire) or from missed attacks (dodging and parrying an attack will continue to work as it has before.) This will reduce your DPS somewhat and remove some of the cheese from your game. Vengeance gains from being critically hit have been reduced by 50%. Since you shouldn’t be taking many crits anyway (Unwavering Sentinel) this shouldn’t be a big thing. There are now diminishing returns on Vengeance gains while tanking multiple targets. Each additional target grants progressively less Vengeance. No more powering up by fighting groups. So as not to affect Challenge Mode leader boards, the above Vengeance changes will not apply there. For Challenge Modes, Vengeance will continue to work as it did in patch 5.3. The Patch 5.4 Warrior Changes extend to some of the talents. A tweak here, a tweak there, and a couple of them are a lot more interesting. Your Enraged Regeneration (level 30) talent now instantly heals the warrior for 10% of their total health (up from 5%), and an additional 10% over 5 seconds (up from 5%.) It’s still usable while stunned and the effects are still doubled if you’re enraged. This buff makes the talent a lot more interesting. In something that will help with your survival, your Vigilance no longer transfers damage to the Warrior. The talent now reduces amount of damage the target takes by 30% for 12 seconds. In effect it’s a type of defensive bubble. This will be a big help when those crushing hits come in. Your level 15 talent Warbringer now roots the target for 4 seconds instead of stunning them for 3 seconds. The 50% reduction to movement speed snare effect for 8 seconds remains unchanged. Glyph of Blitz will now cause Warbringer to root an additional 2 nearby targets. Bloodbath‘s snare and bleed effects are now two separate debuffs. Clearing one of the effects will no longer remove the other. This should be more interesting for PvP than anything else. Glyph of Impaling Throws: Your Heroic Throw now leaves an axe in the target, which can be retrieved by moving within 5 yards of the target to finish the cooldown of Heroic Throw. This effect will only occur when Heroic Throw is cast from more than 10 yards away from the target. This might be pretty interesting depending on how much you use this ability. Glyph of the Raging Whirlwind: Whirlwind gives additional Rage over time, but for that time the Warrior no longer generates Rage from auto-attacks. Glyph of the Subtle Defender: Removes the threat generation bonus from Defensive Stance. This will allow DPS to use Def. 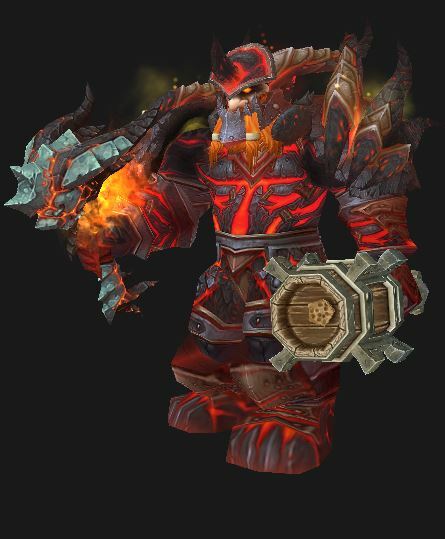 stance, in dungeons & raids, with no worries about suddenly becoming the tank. Glyph of the Weaponmaster: Shout abilities cause the appearance of the Warrior’s weapon to change to that of a random weapon from their primary bag for a short time.